The following is a comprehensive guide explaining interfaces, components and setup of the tools required to fly the Otus Quadcopter. 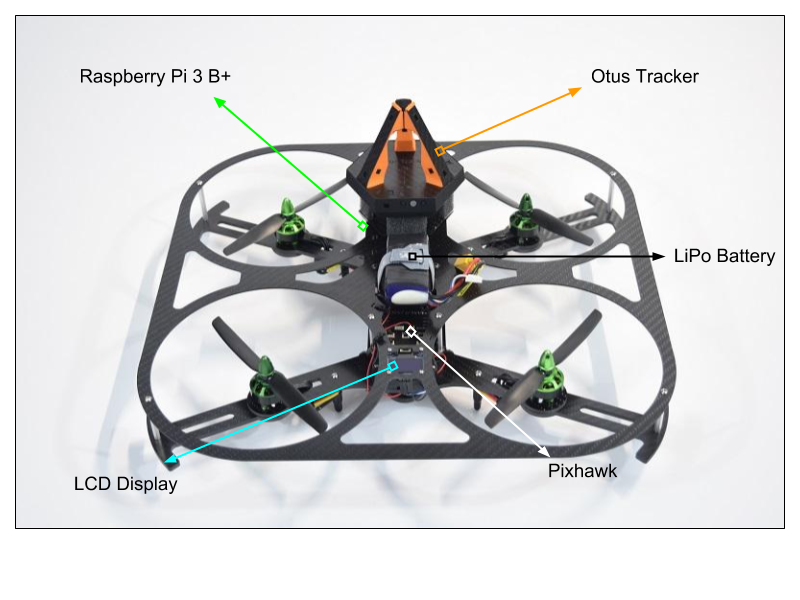 The Otus Quadcopter is designed to simplify as much as possible research and development while retaining the full capability of the powerful PX4 platform. The quadcopter comes preloaded with the scripts and software necessary to fly the drone. The platform is open: all the code is available if you want to replicate the Otus Quadcopter with your own hardware. You can even program the quadcopter from your browser using the powerful Cloud9 IDE! The system below explains the main interactions between the components. Open the image above in a separate window if you are on a small screen.